Realizing this, Sanse, beginning in the corridors of education, has adopted a lifecycle approach with intensive programmes focused on family health, livelihood and women empowerment, which address the needs of children, their families and the larger community. Addressing the areas of education of children, healthcare to the poor, livelihood for the youth and empowerment for women, Sanse has evolved as an Education NGO, Livelihood NGO, Medical NGO, as well as NGO for Women Empowerment. 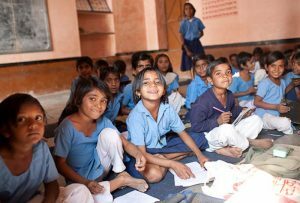 Mission Education provides basic education and healthcare to underprivileged children, with the belief that education is both the means as well as the end to a better life because it empowers an individual to earn his/her livelihood while also increasing one’s awareness on a range of issues; in the process helping him/her evolve as a better citizen. 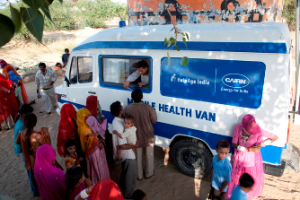 SANSE on Wheels is a national level mobile hospital programme which provides curative and preventive healthcare services at the doorsteps of the underserved in remote rural villages and urban slums, besides inculcating a health-seeking behaviour in them. SANSE e-Learning Programme (STeP) evolved as a logical linkage to Mission Education, based on the need to provide employability skills to high school pass-outs and urban underprivileged youth to enhance their prospects of employment in the fast expanding retail, hospitality and service sectors. Empoerment is a programme focusing on girl children and women empowerment. The USP of Swabhiman is its innovative and highly effective approach named the ‘4-S Model’ which means Seeking Healthcare as a Behaviour, Support through Education, Support from Men through Male Involvement, and Sustaining Change in the Community.